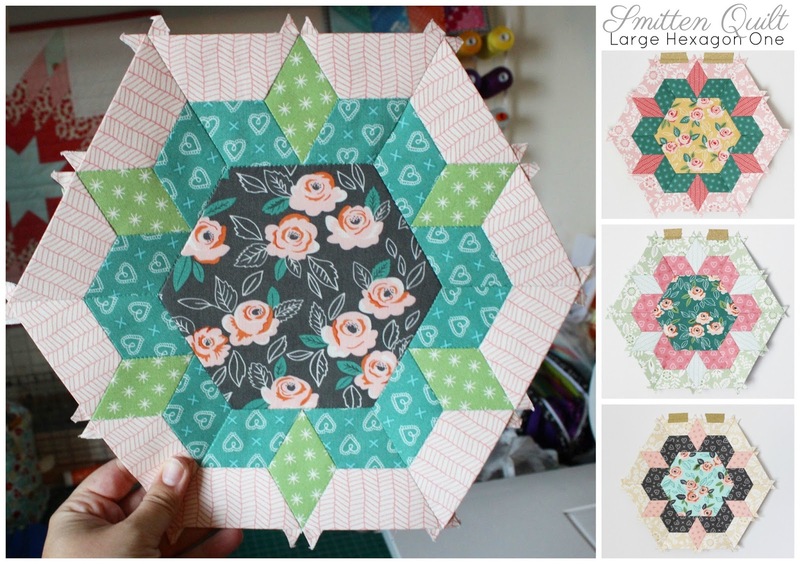 Now that I've completed all of the Large Hexagon One blocks for my Smitten EPP quilt, I thought I'd share a few tips with you that I learned along the way as well as the notions I used to complete these blocks. 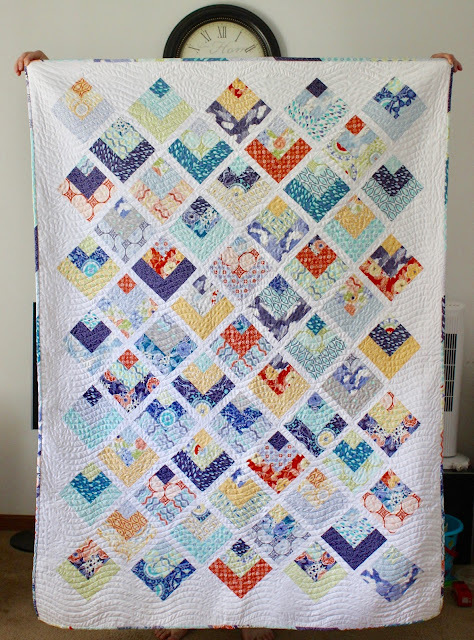 As I've posted my blocks in the Jen Kingwell Designs Group on Facebook, I've had a few questions about what the backs of my blocks look like and how I baste the smaller pieces. The main thing to remember is to make the "points" of your folded fabric on the paper pieces to all go in opposing directions if possible (see below). This ensures there will be less bulk on the backs of your blocks. As you can see here, none of my points are facing one another and this is key in making a nice flat block, you don't want any points overlapping if you can avoid it. For each block I have been using a simple whip stitch with each stitch approx. ⅛ inch apart. My favorite needles are #10 or #11 Milliners and I find using the Sewline Sure Guide Needle Threader is a total sanity saver! 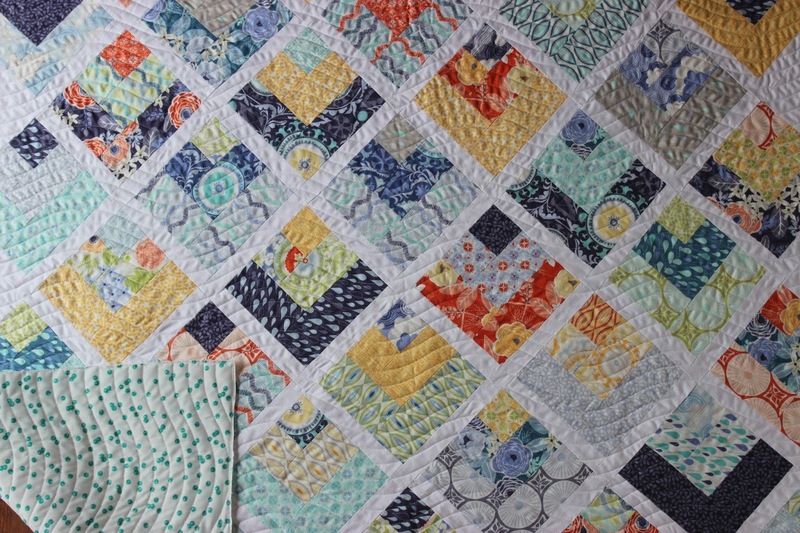 For this project I'm using all Aurifil 40 wt. threads. Typically for EPP I would not use such a thick thread, in the past I have used 50 wt or even 80 wt, but for this quilt I wanted to make sure I used a nice thick, sturdy thread that would ensure my pieces are stitched together securely since I will likely be having this quilt top done on a longarm machine. 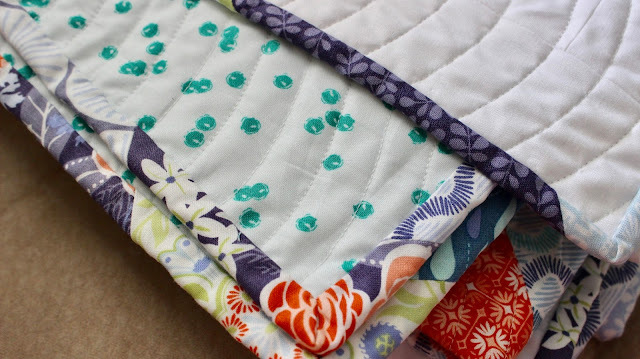 Another great tip is to prepare a few blocks in advance. 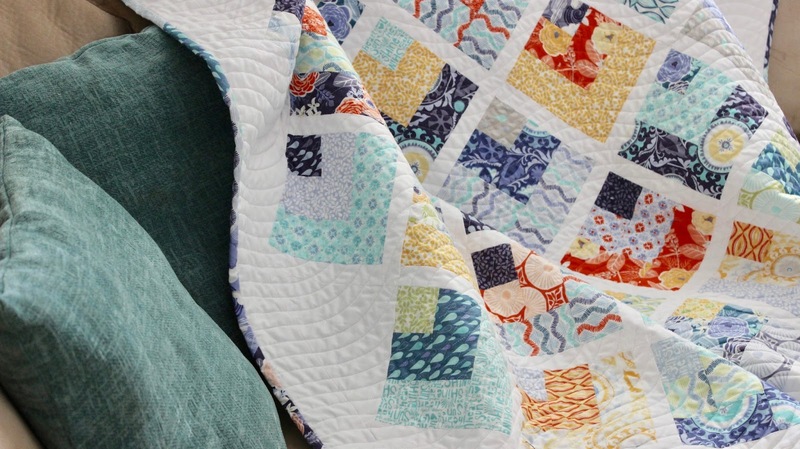 This means cutting fabrics and basting them to your paper pieces, gathering coordinating threads, and anything you may need to stitch them together. I like to keep all of my supplies in my Scrumptious Maker's Tote so I can easily take everything along with me if needed. Since most of the block designs in this quilt only require you to make 5-6 of that particular block design, it's easy to precut and prep those blocks in advance and have them ready for whenever to opportunity to do some slow stitching presents itself. 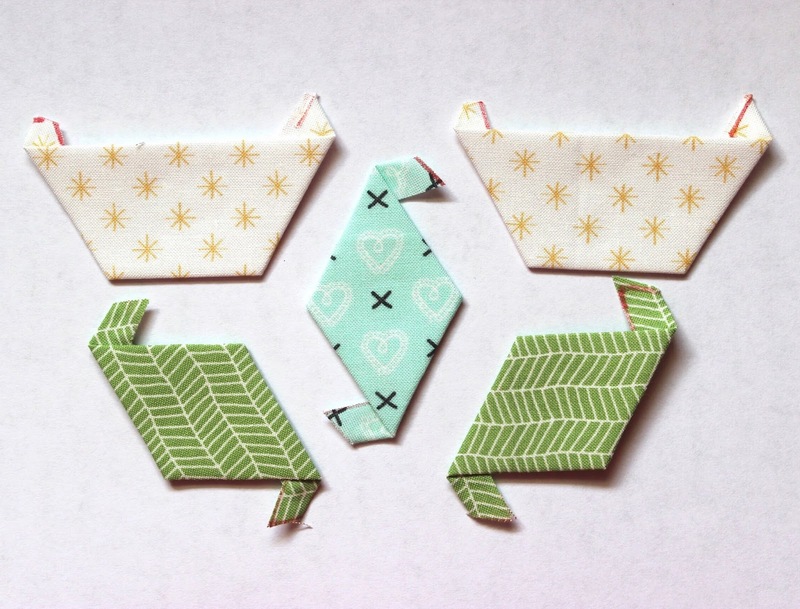 I like to keep my prepared EPP pieces for each block in separate little baggies or containers. I hope this has been helpful for you! 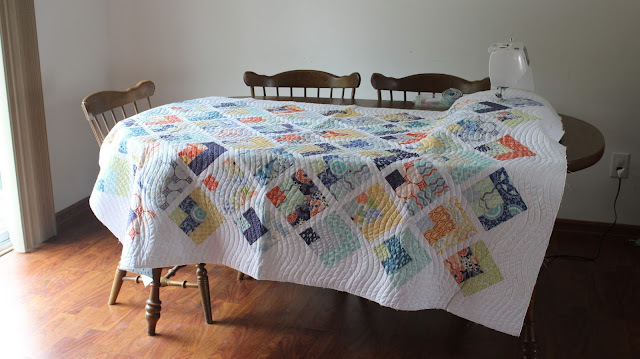 As I said before, I'll be back again, blogging each quilt block individually with tips for basting those points and everything else!